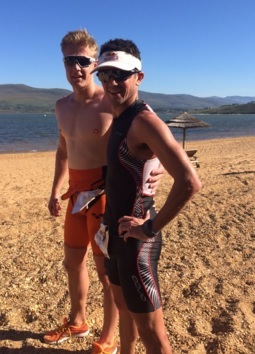 Jean-Paul Burger won the Benguela Cove Cross Triathlon at Benguela Cove Wine Estate in Hermanus today. The event consisted of a long triathlon (950m swim; 18km cycle and 5.5km run) and a short triathlon(500m swim; 9km cycle and 2km run). Visit the Benguela Cove Cross Triathlon for more news.